It was Halloween at Farnborough Jazz Club (2015). We were nearing the bewitching hour and Golden Eagle Jazz Band could resist us no longer, we had them under our spell! he he, Photo taken by Mike Witt. We have the GOLDEN EAGLE JAZZ BAND with us at our FARNBOROUGH JAZZ CLUB this Friday, 25th November 2016. KEVIN SCOTT (tenor banjo) is the band leader and he has MIKE SCROXTON on trumpet, ALAN CRESSWELL will be on clarinet, ROY STOKES on trombone & vocals, MIKE BROAD on double bass and MALC MURPHEY on drums (KEN COLYER’S drummer for 7yrs). After last week, when we had a brilliant party-like evening, it will be a hard act to follow. However, this band can, because they also like to encourage you to enjoy yourselves. So if things are getting you uptight, with Christmas shopping looming up on you fast, then get yourselves over to us for the evening. You will find yourselves unwinding and ready for the World again, the next day. Their music begins at 8:00pm, finishing at 11:00pm and if you want, you can dance (however good, or bad you are), or just sit and listen. The bar has club prices, with pleasant staff to serve you Shepherd Neame beer etc., – so come on over and join your hosts, Diane and Keith for some ‘live’ jazz. This entry was posted in Golden Eagle Jazz Band on November 23, 2016 by Diane. 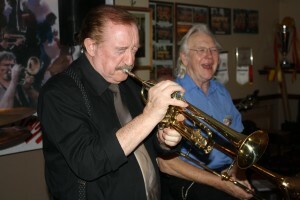 Denny Ilett plays trumpet with an intro’ to ‘Starlight’. enjoyed by George ‘Kid’ Tidiman. George ‘Kid’ Tidiman’s All Stars at Farnborough Jazz Club (Kent) on 1st April 2016. Photo by Mike Witt. 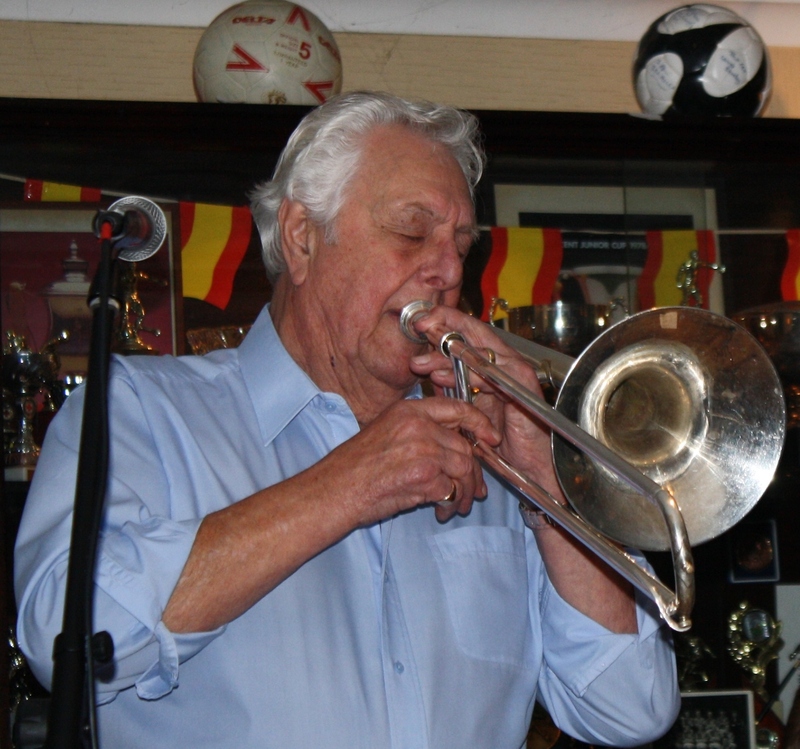 Hi everyone, it’s GEORGE ‘KID’ TIDIMAN’S ALL STARS on Friday! Yes, they’re back with us this Friday, 18th November 2016 at the FARNBOROUGH JAZZ CLUB. Our ‘Kid’ GEORGE (trombone) has booked DENNY ILETT (trumpet), GOFF DUBBER (clarinet), ‘SOUTHEND BOB’ ALLBUT (banjo & vocals), JOHN SIRETT (double bass) and BILL FINCH (drums). Certainly well worth being there to enjoy, not only the fun of George, but the wonderful musicianship of all these guys. Keith and I will be there to host the evening, so join us please, to show these guys they are well appreciated. Also, the dance floor needs it’s weekly use. This entry was posted in George 'Kid' Tidiman's All Stars on November 17, 2016 by Diane. Go to OneFamily Foundation on your browser. Click ‘SE Region’ and find ‘Gravesend Sailing Club ‘Alicia Project’ Click ‘More’ and follow voting procedure. Please get everyone you know to vote as well! To help improve disabled access to the club house. Access to the clubhouse is very difficult for wheelchair users. At the moment, you have to go round the back, up a ramp, negotiate a couple of very tight turns, knock loudly and hope someone will open the door, then heave yourself over the step. This is a real barrier for existing users, for guests, and for expanding our base of Sailability members. The plan is to install a wheelchair lift in the corner where Daisy lives, and a new pair of doors that can be opened by a disabled user with a key. This will make them independent of outside help. And crucially, give safe, legal access to the club. But this costs money! Members have been extraordinarily generous over the pontoon and the crane, so they’re not asking for your money again! But they are asking for two minutes of your time. Voting closes on 30th November, so get voting now! And mention this to family and friends – the more votes, the greater their chances of getting the money for this important improvement to disabled access to the club house! Thanks. This entry was posted in Uncategorized on November 14, 2016 by Diane. 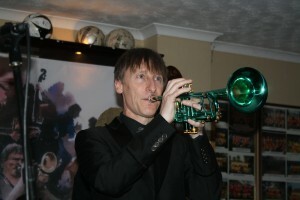 Paul Higgs playing his lovely iridescent green trumpet playing for Phoenix Dixieland Jazz Band here at Farnborough Jazz Club ,2016. Photo by Mike Witt. 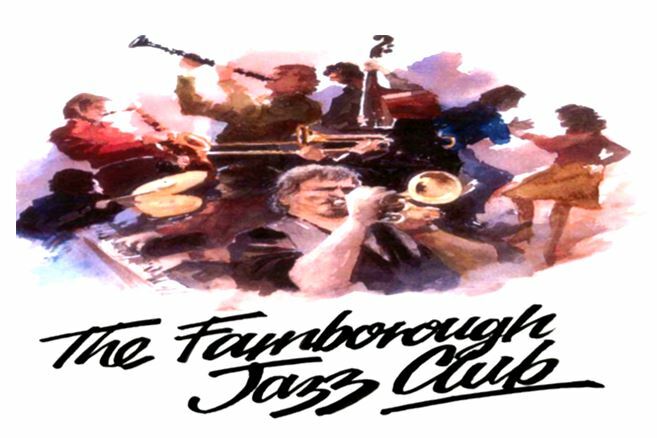 PHOENIX DIXIELAND JAZZ BAND (7pce) will be entertaining us again at FARNBOROUGH JAZZ CLUB on Friday 11th November 2016. PAUL HIGGS is back on trumpet, CHARLES SHERWOOD on clarinet, BILL TODD on trombone &vocalss, plus ALAN CLARKE on drums, DAVE BARNES on piano &vocals, ROGER CURPHEY on double bass and JOHN STEWART on banjo& guitar. You all know these guys are top notch players, so don’t miss this evening – should be a goodern! This entry was posted in Phoenix Dixieland Jazz Band on November 10, 2016 by Diane. Your hosts, Diane and Keith. P.S. So sorry, our landline has again been ‘out of order’ for over a week – I’m working on it! This entry was posted in Barry Palser's Super Six on November 3, 2016 by Diane.